White-tailed Eagles are widely distributed throughout the Northern Hemisphere and may be encountered in conditions that range from desert to Arctic climates, from Greenland, east to Central Asia and Japan. Recent estimates put the world population of these giants of the skies in the region of 18,000 birds. The largest population in Europe is found in Norway, where around 1,500 pairs breed, approximately 15% – 20% of the world population. The territory of an Eagle is called its home range. 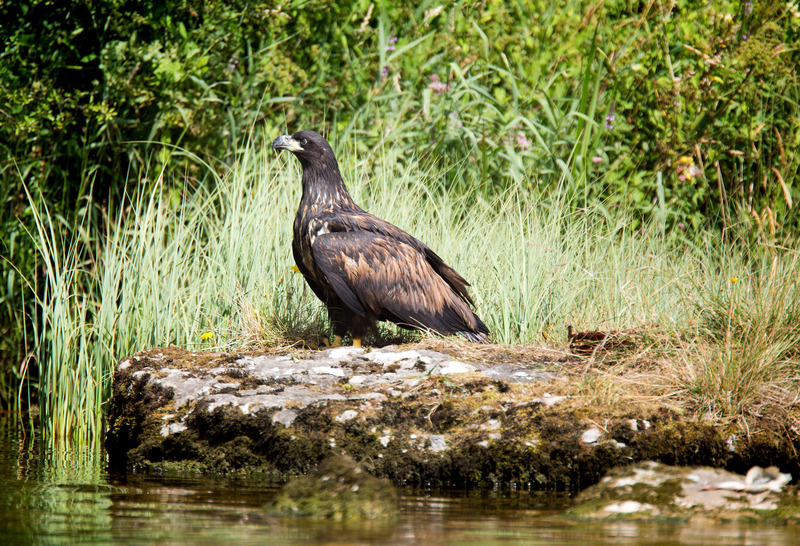 That of a White-tailed Eagle may encompass between 30 and 70 square km and normally located in sheltered coastal locations by lakes and along rivers where nests are built in trees or on rocky crags. This home range can overlap with the territory of a Golden Eagle, another of the species re-introduced by the Eagle Trust. The size of the individuals habitat is thought to be largely determined by simple factors such as availability of food and density of population. Given that Lough Derg has such a newly established and small population, and the fish resources are plentiful, it is likely they will have a slightly smaller range than other birds forced to fly greater distances for food. 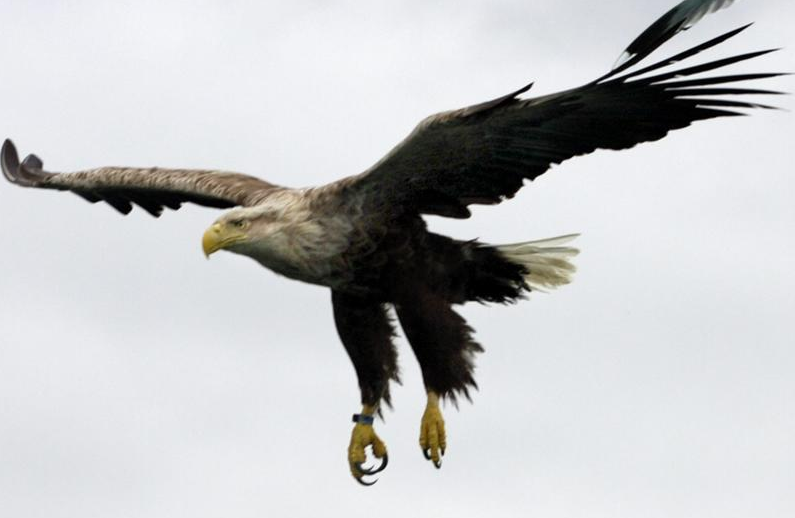 The White-tailed Eagle is a vagrant rather than a migrant with adult birds tending to be rather sedentary and faithful to their breeding areas. Young eagles, which take up to five years to reach maturity, tend to roam extensively in their early life before selecting a territory and settling down to breed. Who knows where the Bushy Island chicks will choose to settle down?